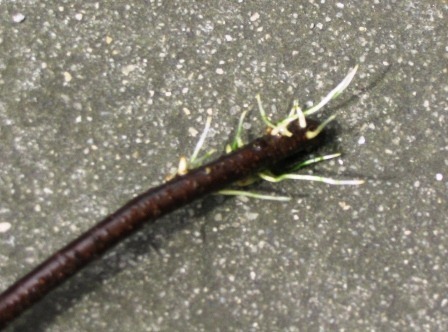 Plants which can take can root in water can be propagated very easily from cuttings. All you need to do is leave the cuttings sitting in a glass or a jar of water in a location with indirect light. 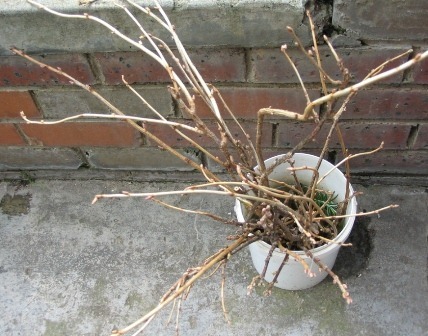 Pictured above are cherry tomato cuttings left in a bucket of water for a week, showing vigorous root development. Here are the basic step-by-step instructions for rooting cuttings in water. 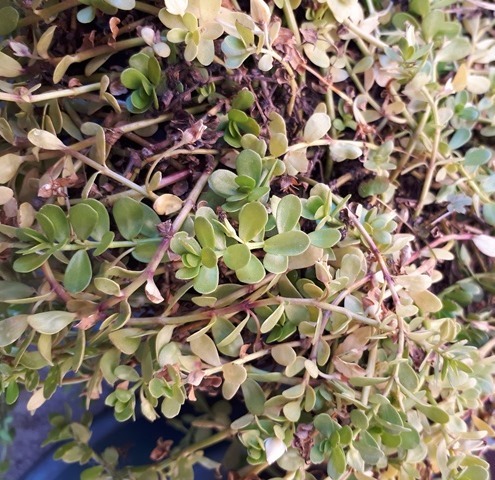 This is possibly one of the easiest ways to propagate plants. Take cuttings of your plants, make the cuttings around 20-30cm (8-12”) long. 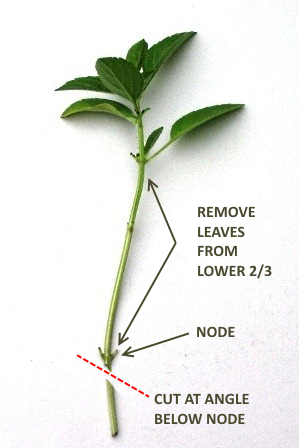 Remove the lower two-thirds of all leaves, leaving the bottoms of the cuttings bare. Cut the bottom end that will go into the water at an angle below a node (where the leaves were) so there is more more surface area to absorb water. Fill a jar or small container with enough water so that the lower one-quarter to one-half of the cutting is in the water. Place in a protected spot with indirect light, a location which is not exposed to strong wind or sun. Check the cuttings every few days to see if roots have emerged. Change the water every week, or whenever it looks dirty or murky. This will refresh the supply of dissolved oxygen in the water, and prevent the cuttings from rotting. Once there is good root growth, the plants can be potted up in a good quality potting medium or potting mix. It’s best to keep them in a protected spot and grow them on until they establish a stronger root system. 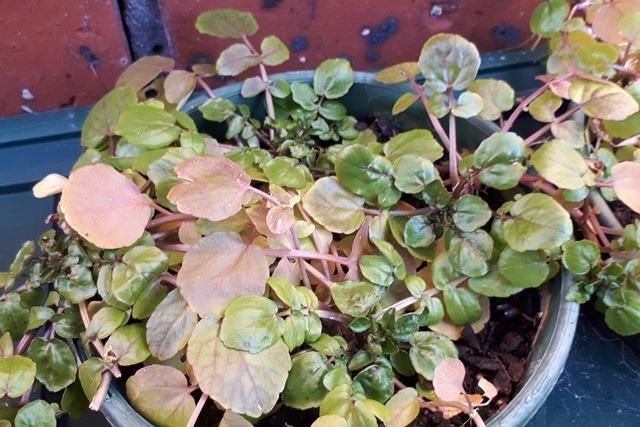 When they start putting on a reasonable new growth, and the season is appropriate, they can be planted out into a larger pot or their intended location. Where do you keep the cuttings till they root? The east side of the house, which usually only receives morning sun, is a really good place for them. 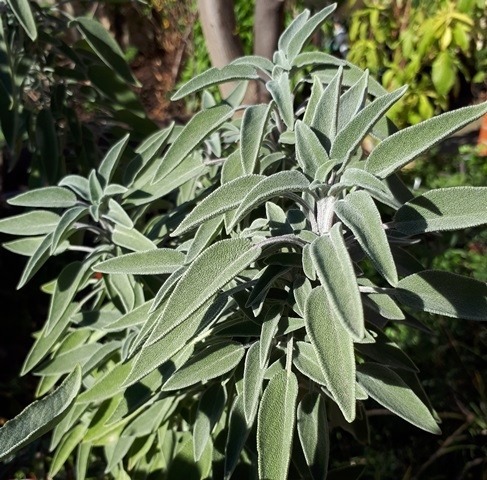 If shade or indirect sun is difficult, it’s possible to use shadecloth or established plants (even ones in pots) as a windbreak and to create dappled light. There aren’t many plants that will root in water, many plants will simply rot, so it’s important to use the right plants for this propagation method. Which plants will actually root in water? Sometimes we find out by intentional experimentation, sometimes by sheer chance! I accidentally forgot a dozen blackcurrant cuttings that in a small bucket of water because I didn’t have time to put them in propagating medium. They were quite long and not prepared in any way. Two weeks later, when I checked the blackcurrant cuttings, I found they were growing nice thick white healthy roots! Another plant I’ve see often rooted in water is Sweet Potato (Ipomoea batatas), the leafy shoots emerging from the tuber grow well as cuttings. I remember seeing bits of sweet potato vines (the leafy stems) in saucers of water in a friend’s kitchen, an effective way to produce lots of sweet potato plants. Mind you, a cup would be more efficient than a saucer for this purpose. Gardeners often cut pretty flowers and put them in a vase of water indoors. Some flowers keep for quite a while in a vase, and some may even grow roots. 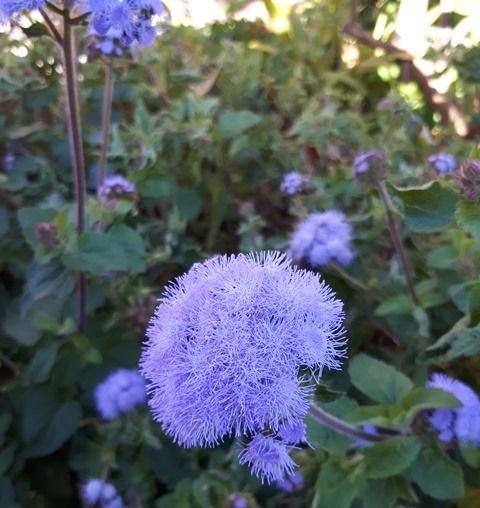 We discovered this at work with perennial ageratum, also known as hardy ageratum (Eupatorium coelestinum ). 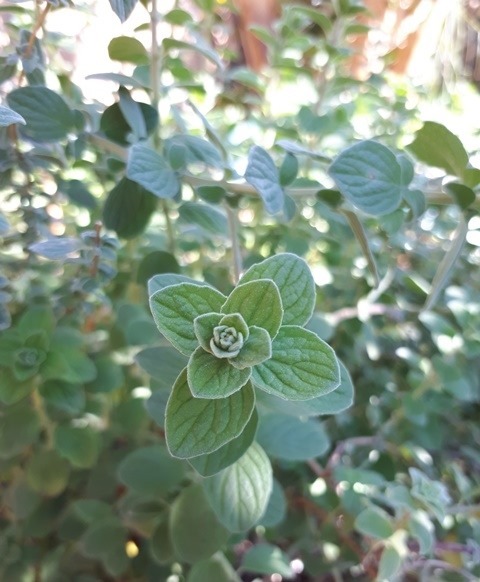 It’s not edible, but it’s a wonderful plant for attracting beneficial insects and pollinators and a delightful plant to include in a productive garden. It spreads by rhizome and makes an excellent perennial border. 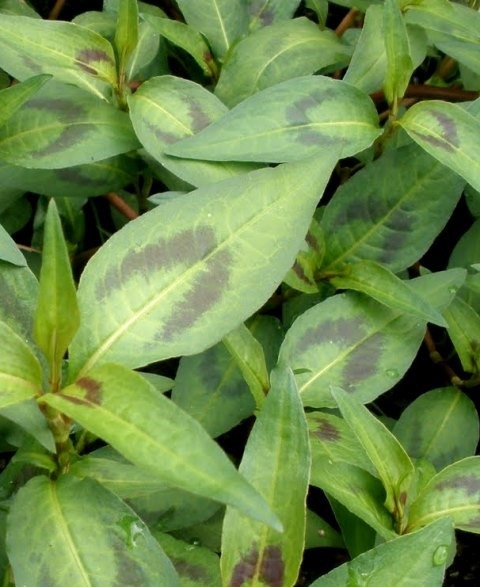 It also serves another function, it’s a mosquito repellent plant, which It secretes coumarin, a compound used in commercial mosquito repellents. In permaculture we love plants that serve many functions! The second Permaculture Design principle after all is Each Element Performs Many Functions. 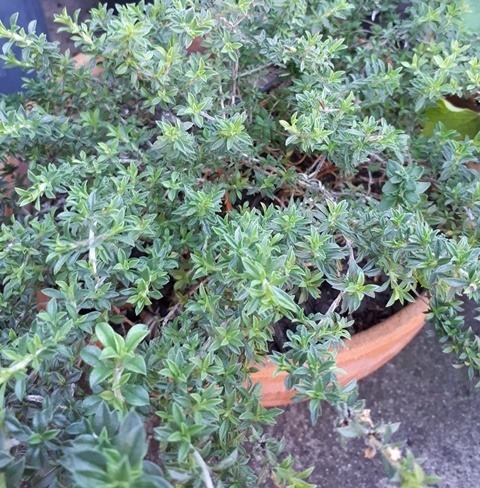 When it comes to culinary Mediterranean herbs, rosemary is one that can root very easily in water. I put a short woody rosemary cutting in water and it grew roots! 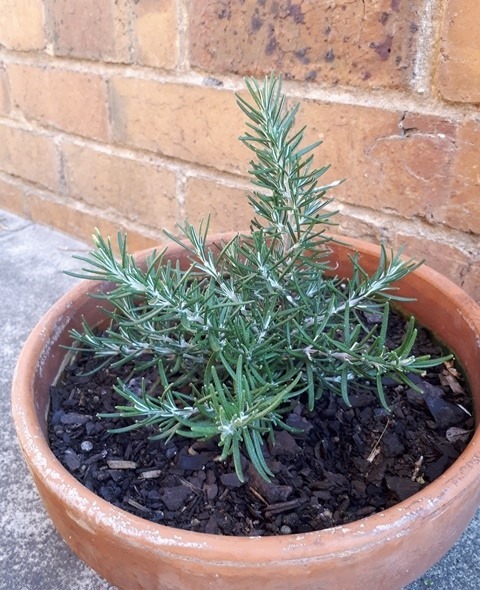 This rooted rosemary cutting is growing well after being planted out. 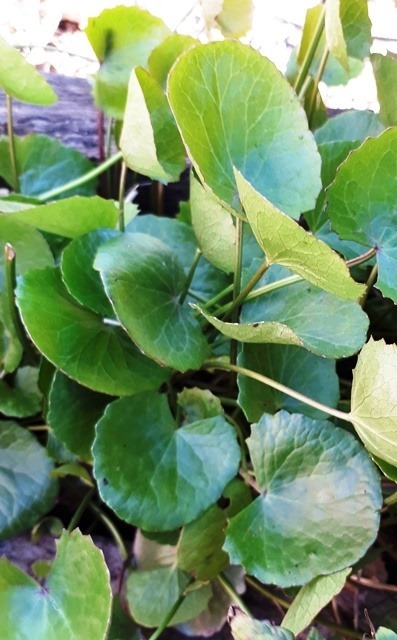 Marginal aquatic plants, plants which normally grow along the edges of bodies of water such as ponds, lakes and rivers, will generally root very easily in water. 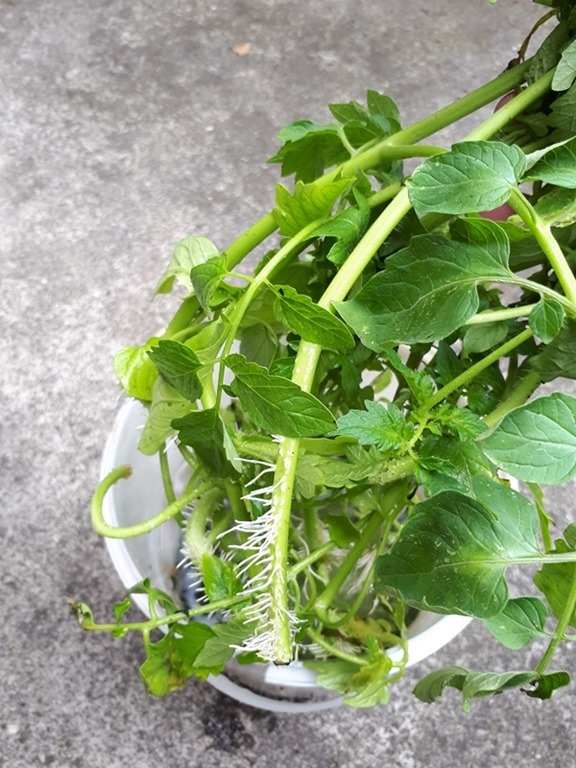 Kangkong (water spinach), Ipomoea aquatica, which is an annual plant, is often propagated by cuttings rooted in water during the growing season. As a handy tip, watercress, kangkong and Vietnamese mint may be purchased in cut bunches from your local greengrocer or Asian supermarket and propagated! So, there’s no excuse to not try plant propagation, as sticking a cutting in a jar of water should be manageable by most people. It can’t hurt to give it a go. Soon, you’ll realise that nature really does supply us with all the plants we need, even in great abundance, for very little effort! And furthermore, you’ll find it’s great fun to fill the place with free plants!! !